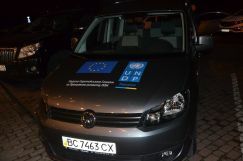 Dur ing his visit to Western Ukraine, Janthomas Hiemstra, UNDP Ukraine Country Director, visited objects of the joint EU/UNDP “Community Based Approach to Local Development” (CBA) Project in Ivano-Frankivsk, Lviv and Zakarpattia regions. 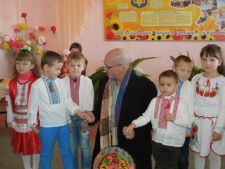 Mr. Hiemstra saw kindergarten in Bodnariv village in Kaluskyi rayon, Ivano-Frankivsk region. The CBA Project together with the local community renovated the building, they provided insulation and replaced windows and doors. 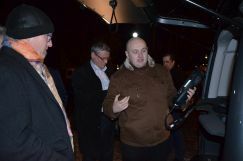 Besides, UNDP Ukraine Country Director reviewed work of Mobile Laboratory for Energy audit in Lviv region. 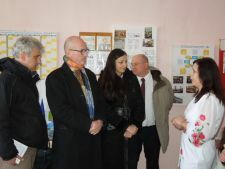 He also visited ACMH within new CBA component of urban development in Khust city, Zakarpattia region. During his visit to Ivano-Frankivsk region, Janthomas Hiemstra also met the Deputy Head of Ivano-Frankivsk regional state administration Serhiy Besarab. They co-signed the Memorandum on biomass energy consumption in Prykarpattia region.